In the spirit of Four Roses’ romantic beginnings, let us help you select the perfect Bourbon-inspired gift for your loved one. 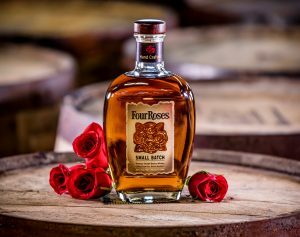 Check out our official Valentine’s Day gift guide for a selection of gifts that mingle Bourbon with a little romance. Choose a Bourbon-inspired gift from our online store. 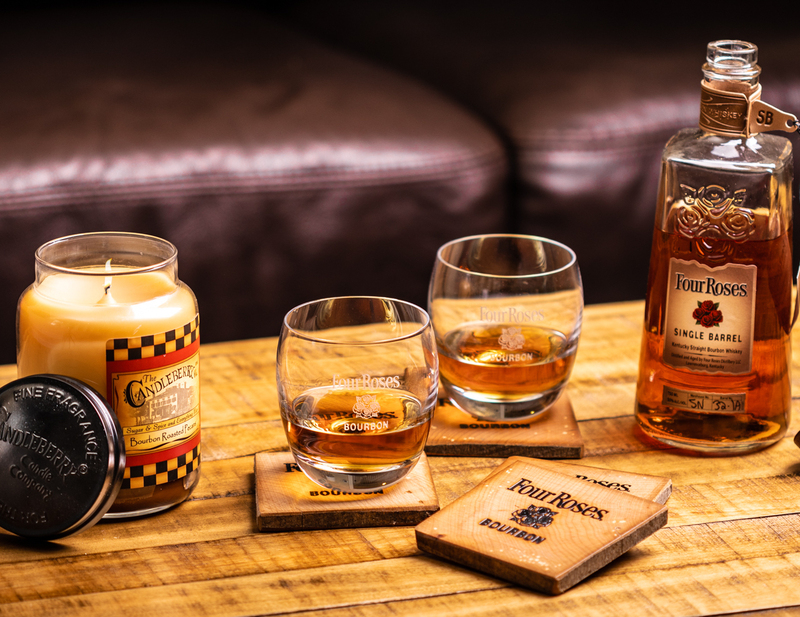 Visit our online store to shop a variety of Four Roses merchandise, from apparel to barware, and more. Refresh your loved one’s kitchen with a new Bourbon decanter, or add to their barware collection with a set of glassware or bar tools. Our custom Four Roses ice molds can add a special touch to crafting cocktails at home. You can also bring the ambiance of our Distillery in Lawrenceburg, Kentucky into your home, with one of our Bourbon-scented Candleberry candles. Check it out, here. A bottle of our Small Batch Bourbon can help you create a Mellow Moment this Valentine’s Day. Four of our ten unique Bourbon recipes have been expertly selected by Master Distiller Brent Elliott at the peak of maturation and mingled to create this mellow and balanced Bourbon. Enjoy it neat, on the rocks, or in your favorite cocktail recipe. Did you know? If you turn the Small Batch bottle upside down, you’ll notice that it’s shaped like a rose bud, making it perfect for the occasion. Learn more about our Small Batch, here. Pair a bottle of Four Roses with a bouquet of fresh red roses for a classic Valentine’s Day gift combination. One of our favorite local florists in Louisville, Kentucky has even created a gift set featuring this iconic duo. 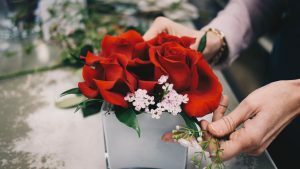 Nanz & Kraft Florists has created a special Go Red for Women flower arrangement featuring four red roses and a bottle of Four Roses Small Batch, available for purchase during the entire month of February. $10 of each purchase will benefit the American Heart Association. If you’re in the area, be sure to check it out. If not, you can recreate this pairing at home with your local flower shop and a bottle of Four Roses Bourbon, Four Roses Small Batch, or Four Roses Single Barrel. Shop Nanz & Kraft Florists, here.